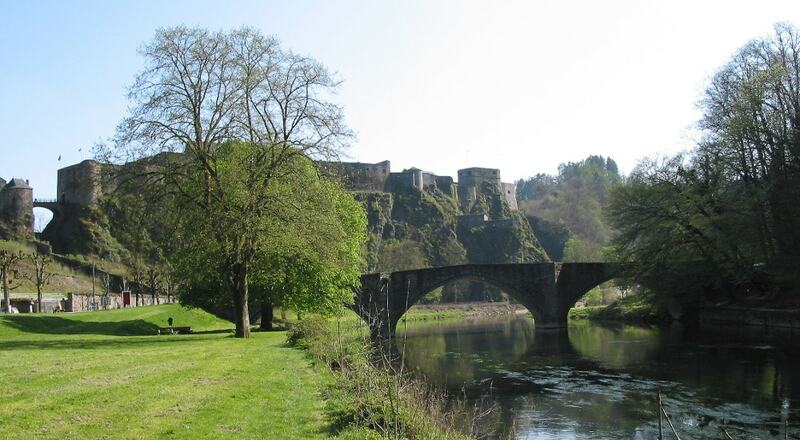 Bouillon Castle is situated on a rocky spur of land within a sharp bend of the Semois River. Although the castle was mentioned first in 988, there has been a castle on the same site for a much longer time. In 1082, Bouillon Castle was inherited by Godfrey of Bouillon, who sold it to Otbert, Bishop of Liege in order to finance the First Crusade. The castle was later fitted for heavy artillery by Vauban, Louis XIV's military architect in the late 17th century.